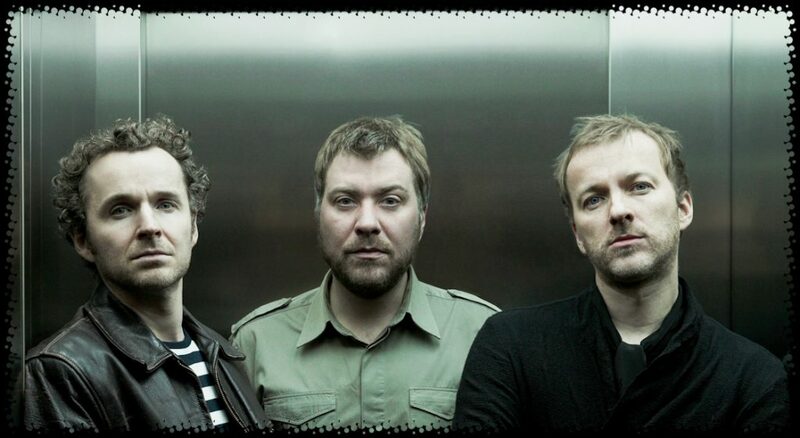 Doves are to reissue their first three albums on double vinyls. The re-releases will be in limited edition colours and released 31st May. High on the emotional responses to their first gigs for a decade, a re-energised Doves follow their live return by announcing numbered limited edition, two-disc, coloured vinyl packages of their first three albums. Released on Friday 31 May 2019 on USM / Virgin EMI, the Mercury Award-nominated brace of debut album, ‘Lost Souls’ and follow up, ‘The Last Broadcast’ join third studio album, the chart-scaling ‘Some Cities’ in the triumvirate of vital reissues, all with original artwork and sleeve notes. 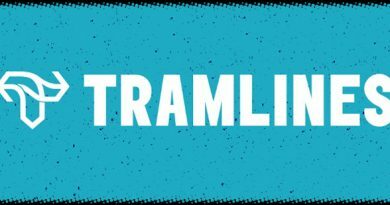 The privileged status of a ‘great albums band’ falls to only the few and, while Jimi Goodwin, Andy and Jez Williams have attained full membership of that distinguished club, their unforgettable singles were potent bait for each long player. Channelling observational lyrics and swirling instrumentation into a new and unlikely euphoria, the first three Doves albums delivered, amongst others, ‘Catch The Sun’, ‘There Goes The Fear’, ‘Pounding’ and ‘Black and White Town’ in five, breathless years of prolific writing and recording. Yet, for every pulsating single there was a misted, melancholic soundscape or gently warped, acoustic opus to light the way through Doves’ singular sonic landscape. ‘Lost Souls’, repressed on double grey vinyl, was first released in April 2000 with traceable links to the band’s former identity as dance hit makers Sub Sub, their self-enforced, creative isolation in shady, post-industrial Ancoats, Manchester and the decisive 1996 studio fire that set the coordinates for the trio’s reinvention as Doves. Freed of the past by unfortunate circumstance, it was chance to make the album they’d always hoped to make. Only three of the album’s twelve tracks come in under four minutes, with the long form opulence of singles, ‘The Cedar Room’ and ‘Sea Song’ captivating listeners with their cinematic drama, swelling with climbing instrumentation with every passing second and captivating the listener to the very last note. Self-produced, save for Steve Osborne taking up desk duties for Top 40 single, ‘Catch The Sun’, said by the band to be the hardest to pin down on tape. ‘Lost Souls’ grace, sense of humanity and gratifying complexity gained the band their first Mercury Award nomination and climbed to number 16 in the UK album charts. The chance of climbing higher still, after delivering a seemingly unsurpassable debut, ‘The Last Broadcast’, reissued on double orange vinyl. It was released almost exactly two years after ‘Lost Souls’, in April 2002. Recorded over a year in myriad studio settings, including famously setting up beneath a motorway flyover for ‘M62 Song’. The album rushed straight to number one in the UK Albums Chart, preceded the week before by the chiming, anthemic brilliance of pummelling Top 3 lead single, ‘There Goes The Fear’. Having gone into sessions buoyed by ‘Lost Souls’ reception and encountering the wide-eyed reactions of fans throughout buoyant UK and overseas tours, ‘The Last Broadcast’ heard Doves drawing the blinds to let in a little more light. ‘Satellites’ hand claps and honeyed, gospel harmonies, ‘Caught By The River’s upbeat acoustic and the irrepressible indie dancefloor hit of ‘Pounding’ sat alongside the gentility of ‘Friday’s Dust’ in a hard to define blend of air-punching joy and a familiar heartache. 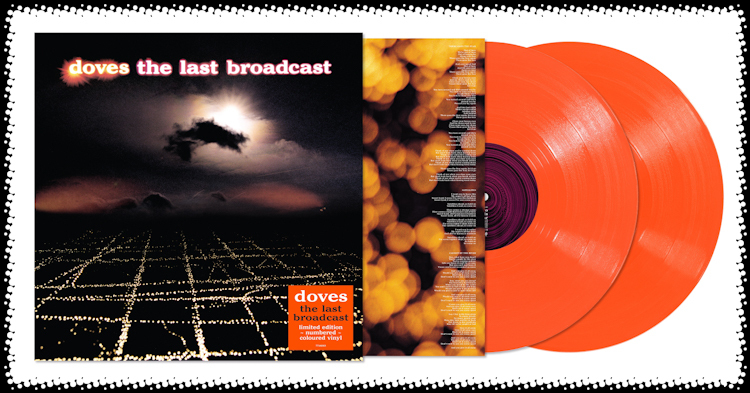 ‘The Last Broadcast’ was Doves’ second album to receive a Mercury Award nomination. It took a gap of almost three years for third album, ‘Some Cities’ to emerge in February 2005. Reissued on double white vinyl, the album was co-produced by the band and Ben Hillier in a typically nomadic fashion, completing sessions in Manchester, Liverpool, London and a former Benedictine Monastery in the Scottish Highlands. 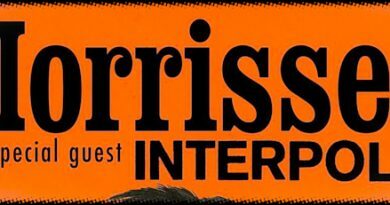 As a statement of intent, lead single, ‘Black and White Town’ stopped traffic; a rug-cutting stomp that recalled the talc-dusted, amphetamine rush of northern soul, only to be followed by the incisive ‘Snowden, with Jez William’s ethereal guitar accents and ‘that’ melodramatic wall of strings as its returning motif. 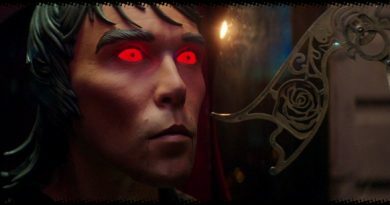 Third single, ‘Sky Starts Falling’ sits in league as a neighbouring, chart-friendly rabble-rouser, yet the orchestral, ambient beauty of ‘The Storm’, the tender anthem-in-waiting, ‘Walk In Fire’ and the mournful, pub piano ballad of ‘Shadow Of Salford’, sung by Andy Williams, confirmed Doves’ greatest asset to be their versatility. The band’s musicianship, breadth of musical passions and collective and individual strengths – Jimi’s direct and credible delivery, Jez’ strokes of perfectly judged guitar and Andy’s wide-ranging percussive gift – had produced arguably their most rewarding album to date and the second Doves album to go straight to number one in the UK Albums Chart. 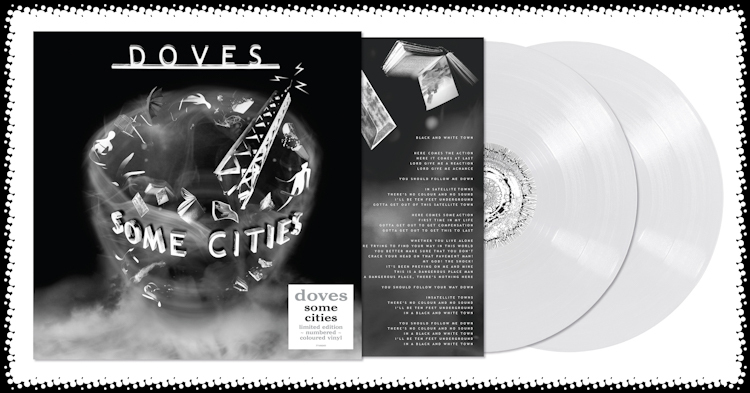 Doves have been recording and touring since the 1998 release of their debut EP on the Rob Gretton-backed Casino label, going on to record four albums including 2009’s ‘Kingdom Of Rust’. In 2010, after ten years of relentless recording and touring they announced an indefinite hiatus, which was brought to an end on Thursday 28 March 2019 when the band played Warrington Parr Hall, a warm-up for their critically-acclaimed Teenage Cancer Trust performance at the Royal Albert Hall on Friday 29 March 2019. The band has so far failed to contain rumours that they are working on new material.